If your cat shows signs of conjunctivitis, you can try treating him at home with products from your local drug store, such as diluted boric acid (for ophthalmic use), sterile ophthalmic irrigating solution or artificial tears. Call your veterinarian to find out how best to administer these remedies. If you’ve tried these methods for 24 hours and haven’t seen any improvement — such as reduced swelling, redness and discharge — take him to the veterinarian. The veterinarian will take a culture of your cat’s eye to determine whether the cause of the irritation is viral or bacterial. The results will determine the type of prescription eye solution necessary. 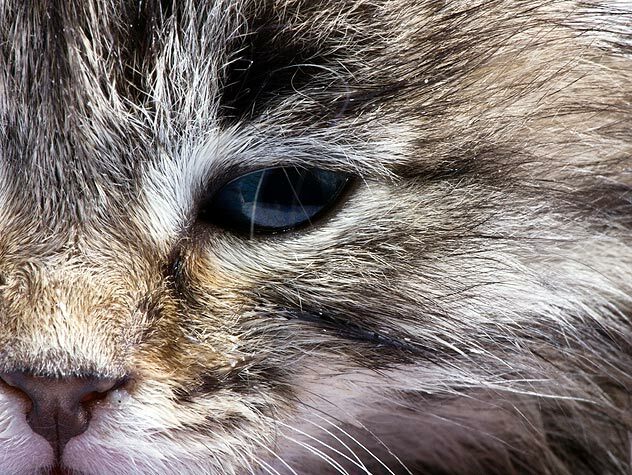 If your vet suspects allergies are the cause of your cat’s conjunctivitis, anti-inflammatory drops, such as those containing hydrocortisone, may be recommended. 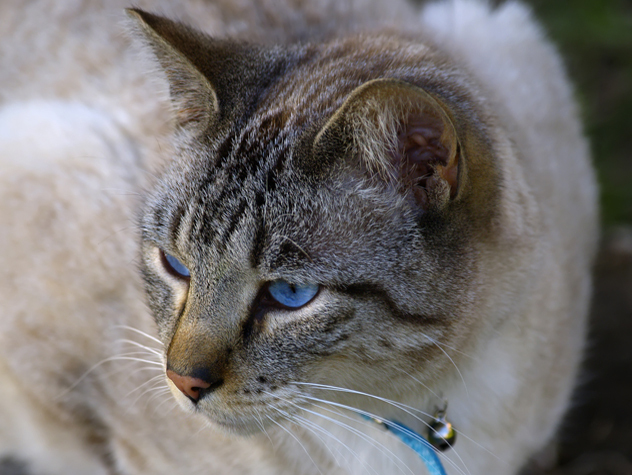 Hydrocortisone drops should not be used, however, if your cat has an ulcerated cornea or is believed to be experiencing an episode of herpesvirus FHV-1. Generally, an eye with conjunctivitis will begin to heal within one to two days after you start treatment. To be certain you have fully addressed the cause, though, you should continue administering any medications for as long as your veterinarian recommends. This is especially important for drops containing antibiotics. A case of conjunctivitis caused by herpesvirus FHV-1 may not be cured just because it has cleared up. The virus will often lie dormant for a while, only to flare up again at a later time. In cases of recurrent conjunctivitis, your veterinarian may prescribe an anti-viral medication. Of course, every cat is different, and some may never experience the condition again.